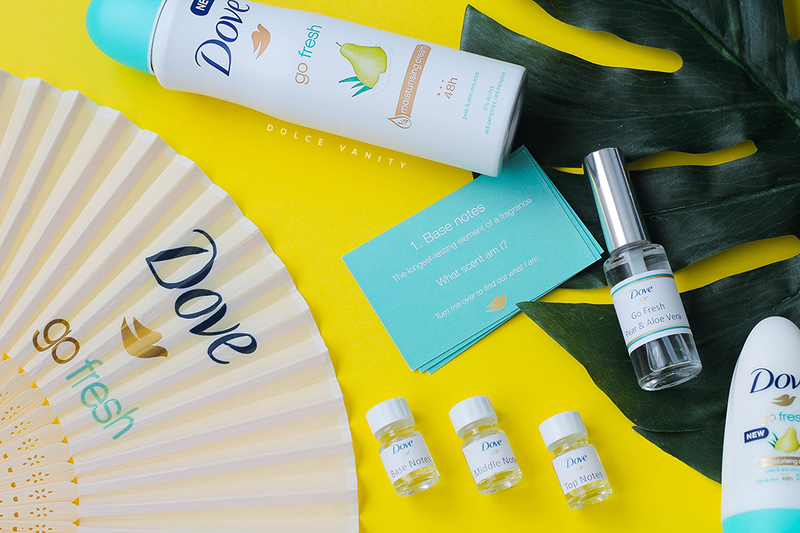 So a few weeks ago I received a new range from Dove, now what's so different about this is the fact that they collaborated with Givaudan, one of the world’s leading global fragrance houses. 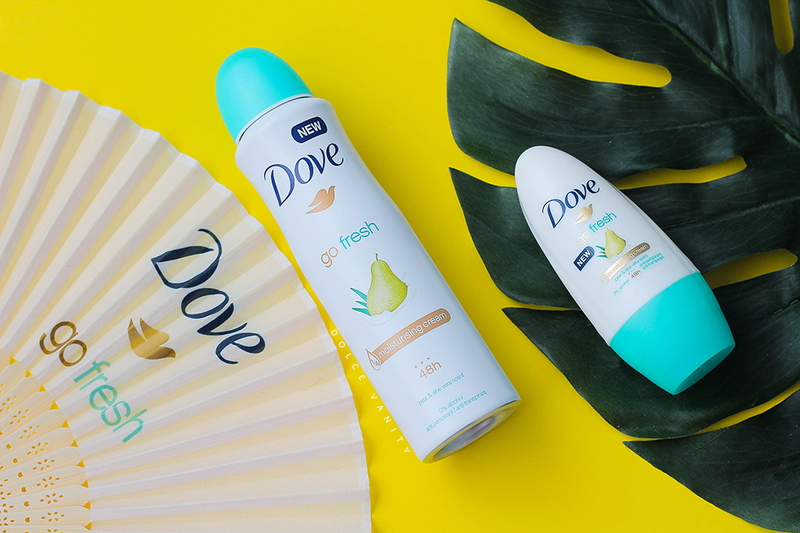 Dove has developed a fresh, sophisticated and feminine Pear and Aloe Vera scent & to be honest - I'm blown away with how good this has come out. Available in aerosol, stick and roll-format, so whatever your preference you're covered. I've got more into stick and roll-on in the past few years but I do like that Dove seem to be a lot gentle and that could be down to the fact they have a trusted and unique ¼ moisturising cream formula & with benefits of a 48hr sweat protection. I find not many deodorants keep me dry especially in warm - humid times; maybe I need Botox in my armpits but it's healthy to sweat but not to smell bad. I have read if you want to get benefit out of your antiperspirant to use it at night after your shower or bath to let it work and then again in the morning. Just like perfume the Pear and Aloe fragrance has been developed just like one would be, using the three levels of scent notes. Base notes [The longest-lasting element of a fragrance] – Featuring touches of peach, coconut, vanilla and soft musks to create a creamy background to cue the Dove signature scent. Middle notes [The core element of a fragrance that gives a perfume its distinctive character] – Showcases the sparkling scents of watery aloe & a beautiful bouquet of sheer florals including lily of the valley, delicate jasmine petals and white rose. This balances the pear beautifully and brings pure elegance to the fragrance. Top note [The dominant initial element of a fragrance which dissipates quickly] - highlights the fresh, crisp pear scent that is central to the fragrance with zesty bergamot for a sparkling contrast. Question is, Dove & Givaudan, can y'all be persuaded to bring this 'ish out as a perfume? Not ready to leave the scent of Summer behind? Let me tell you, spray or roll this and Mexican wave all day and whiff those pits. Prices start at £2.65 for roll-on and £3.09 for aerosol. Have you tried this Fresh Pear & Aloe Vera range? Share your favourite antiperspirant below! I didn't know Dove had brought out new products but they sound like they smell amazing! I need to keep an eye out for the roll on deodorant, I want pretty smell armpits! I am so not ready to leave the scent of summer behind and the scent of the deodorants really does sound appealing to me. Pear and aloe Vera scent sounds amazing. I'm a huge fan of the Dove deodorants and always choose one from their range. I can't wait to try this one out. These sound amazing and will definitely be going on my shopping list for next week! Oooh love the sound of this scent! I've always thought perfume companies should do roll on deodorants, must go and try this one! Oh yum! Aloe and Pear sounds a lush mix - I agree, bring out as a perfume standalone!! !